A reliable source for Broaching Job Shops information and a resource for accessing leading Broaching Job Shops and suppliers. Broaching is a process by which manufacturers shape or form the external or internal part of a workpiece. The external surface may be flat, round, or contoured. Broaching, a cost-effective, precision metal removal service, is performed in a broaching job shop. 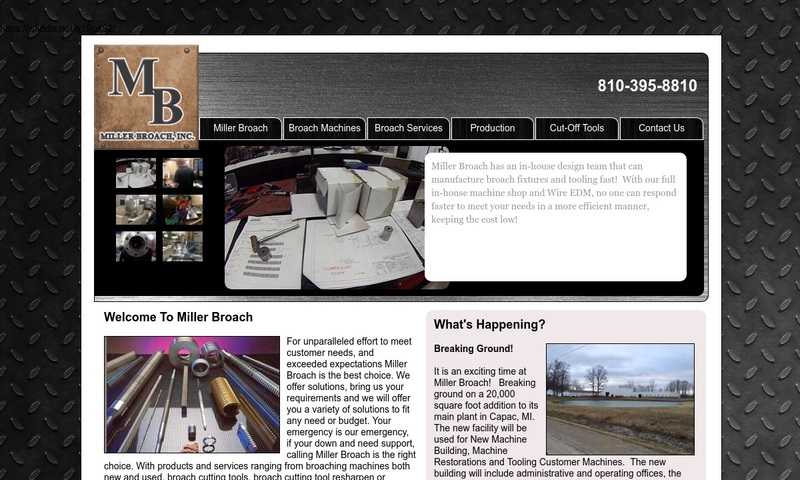 Broaching job shops are facilities that specialize in broached parts. Broaching Job Shops Broaching is a process by which manufacturers shape or form the external or internal part of a workpiece. The external surface may be flat, round, or contoured. 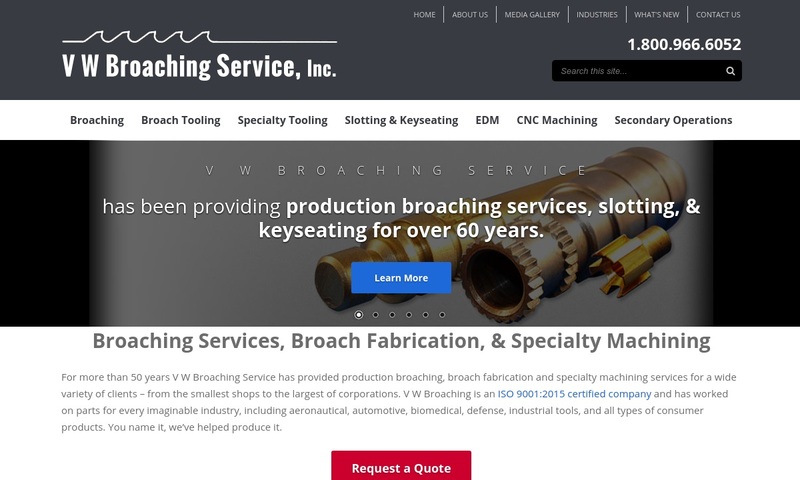 At the forefront of quality since 1950, Avon Broach and Production Company offers many forms of broaching for components in many shapes and sizes, from tiny carburetor pins to mammoth turbine wheels. 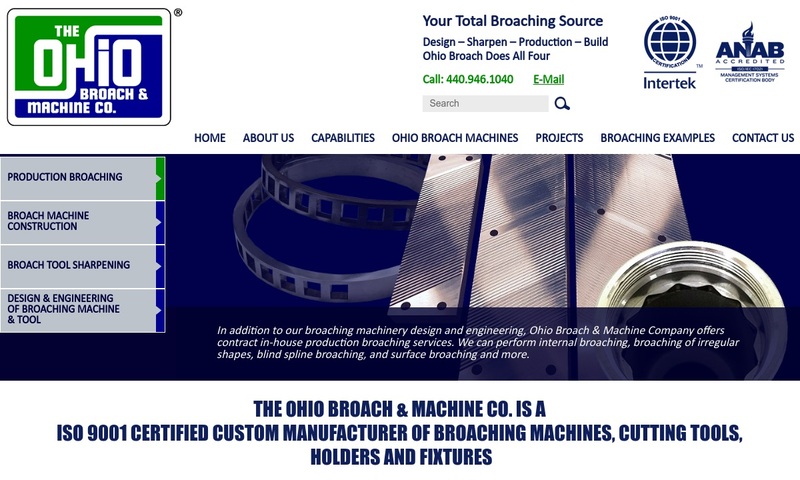 For decades Ohio Broach has put back the cutting edge on dulled, unproductive broaches of every size and shape — keyways, splines, squares, hexagons, rounds, serrations and special forms — for companies worldwide. United Gear Works believes in repairing and rebuilding industrial machinery and their components. A part of the precision repair process is broaching to remove materials. 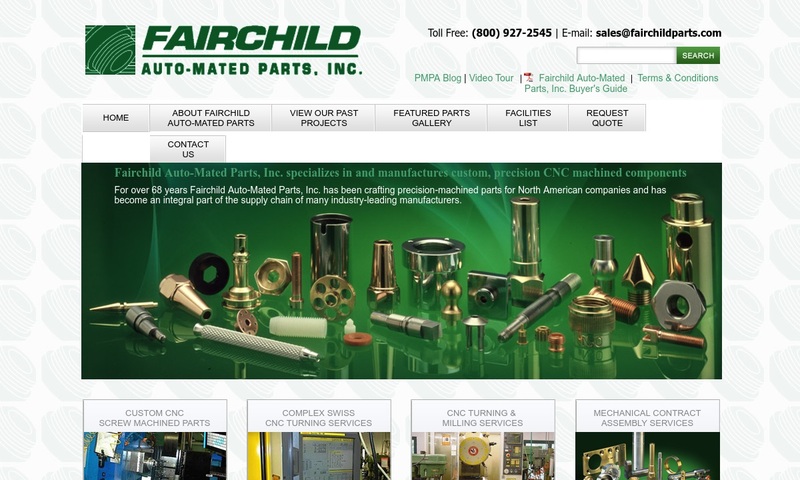 Fairchild Auot-Mated Parts, Inc. has over 68 years of broaching experience. We offer a wide variety of broaching services as well as screw machine products. Broaching is a wide and varied industry that is as important as it is varied. We have nearly 60 years of industry experience offering the best broaching services in the industry. ISO-Certified, we’re known for superior quality, competitive pricing, & fast delivery. We specialize in low and high volume broaching of small and large parts out of almost any material. Most products made through broaching are intended for use within the industrial sector. In addition to the industrial sector, manufacturers can also use broaching services to make parts and products for use in the construction, home hardware, automotive, and plumbing industries. Examples of broached products or products with broached parts include gears, fastener threading, fastener heads, pulleys, sprockets, wrenches, and bushings. Manufacturers first developed broaching in the early 1850s. At that time, they used the process to fabricate internal keyways for gears and pulleys. For many years, this was the only broaching application. After World War I, though, broaching technicians broadened the scope of their service and started using broaching to finish gun barrels. Between the 1920s and 1930s, broaching became more standardized and common. This happened for a few reasons. First, engineers improved broaching machines so that they could produce cuts with higher tolerances. Second, around this time, electricity was becoming more and more popular in machining processes, making broaching applications quicker and easier as well. In addition, with the rise of the automobile, manufacturers saw an increased need for broaching services. As the years went on, engineers continued to improve broaching services. 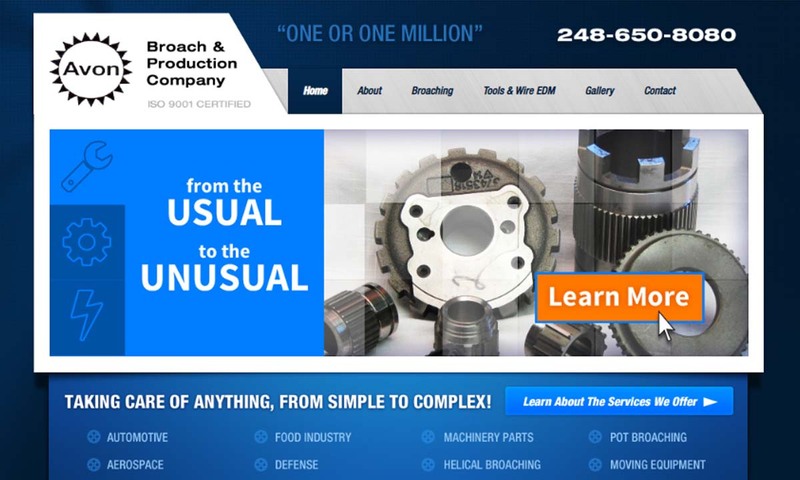 Today, broaching job shops rely on computer technology to help them design and create the most accurate, repeatable results, whether a broached part is simple or complex. Broaching technicians can use to cut almost any material, though they most often use softer metals. Hard metals can dull broach teeth and shorten tool life. The common list consists of copper, aluminum and brass, with some steel grades, plastic, and wood. Copper and copper alloys are corrosion resistant, electrically conductive, thermally conductive, soft, ductile, and malleable. They are also an attractive reddish-orange to gold color, which makes them popular for decorative applications. Technicians most often broach copper when they are making plumbing hardware, like rivets, or home hardware like keyways and doorknobs. Aluminum is quite soft and therefore very popular with broaching technicians. For the best results, manufacturers prefer to make very heavy cuts. Brass is generally very easy to broach. Most often, technicians take medium to heavy cuts out of brass. Steel is a strong, durable, and corrosion resistant iron alloy. It very popular material for broaching, especially heavy cuts. However, the higher the carbon content, the harder it becomes to broach. So, not all steel grades are suitable for this. Plastics are all members of an incredibly diverse group of polymer-based substances. Because plastics are available in so many different thicknesses and with so many different levels of flexibility, malleability, corrosion resistance, impact resistance, etc., operators have a lot of freedom when broaching plastic. Wood is available in a wide range of hardnesses. Technicians most often broach wood for building projects and furniture or cabinet making. Broaching services vary based on the result workers are attempting to create. That’s because broaching job shops house a variety of broaching machines that, though they have limited abilities, efficiently perform specific types of broaching. Just a few of these include spline cutting, using a keyseater machine, and gear hobbing. Also, they either work externally or internally, creating holes that reach all the way around the material. All these variables make every job different. In general, though, both internal and external broaching processes goes something like this. 1. Manufacturers select the broaching machinery and broaching method. 2. They mount the workpiece. 3. They pull/push the workpiece against/through the broach, or they pull/push the broach against/through the workpiece. 4. As the broach and the workpiece meet, the teeth of the broach make shallow cuts. Manufacturers repeat this step as many times as they need to get the right patterns and depth of cuts. If the design is particularly complex, they may also use multiple broaches on one piece. 1. If a part needs particular precision, manufacturers may broach it to near net shape, heat treat it, then finish broaching it. 2. During internal broaching, to maintain a high level of quality and effectiveness, manufacturers must begin by drilling as deep a broaching hole as possible. They must do so because chips tend to accumulate here. They must also clear the hole of these accumulated chips from time to time. In addition, to prevent damage caused by hydraulic pressure buildup, they may find it necessary to create a pressure relief ventilation hole for air, oil, or coolant to escape. 3. In addition, manufacturers often involve the use of cutting fluids during the broaching process, particularly the internal broaching process. The most common cutting fluids include heavy-duty water soluble fluids and fortified petroleum fluids. These fluids assist in the broaching process by lubricating the cutting surfaces, keeping both the broach and workpiece cool, and flushing chips off the teeth. Broach job shop workers map their plan of action based on your application specifications. Broach tooling depends on the type of material they are cutting, the shape(s) you require, and things like your industry standard requirements. To make a broach tool fit your needs perfectly, manufacturers will carefully calculate the rise per tooth (RPT), or the dimensions of the cutting teeth. The RPT is related directly to the amount of material the broach will remove, as well as the size of the chip it will create. Manufacturers can vary the RPT at each section. Broaching job shops cut materials using broaching machines, which are a combination of broaches and a means for moving the broaches automatically. Broaching machines and tools can make cuts down to the mm sq (sq mm). Broaches, sometimes called broach cutters, are saw-like metalworking tools that feature a variety of specific tooth designs. Each tooth on a broach tool is important and helps shape the product. Broaches have three separate sections of teeth with three separate sets of goals. The first section is for roughing, the second section is for semi-finishing, and the third section is for finishing. Broaching job shops are stocked with a variety of sturdy broach tools, broach machines, and related equipment, including external broaches, internal broaches, shell broaches, burnishers, spline shafts, hex broaches, vertical broaching machines, horizontal broaching machines, lathes, arbor presses, and hydraulic presses. External broaches help operators remove material from the external surface of the work piece. They also help create desirable surface finishes. For this reason, they are also called surface broaches. Operators can either set up external broaches to pass over the machine surface or to remain stationary as the workpiece pushes against it. External broaches are available in a wide range of configurations and with a number of accessories, such as broach holders, sub holders, inserts, and indexable tool bits. Internal broaches help operators machine the interior of a workpiece. In this case, the broaches push themselves or are pulled completely through a workpiece. In order for this to be possible, the workpiece must already have an internal hole. When the broach passes through this hole, it alters it with its teeth. Shell broaches are a type of internal broach, used to create rough textures and to finish products. Burnishers are a type of broach that manufacturers use to polish material rather than cut it. Technicians often use them like push broaches in order to polish their surface to an extreme. Spline shafts, or spline broaches, make holes and grooves using a series of successively larger teeth strong enough to pierce metal. Holes and grooves may reach all the way through a workpiece to form a hole, or they may make shallow indents, which are marks of blind broaching. Hex broaches, or hexagon broaches, are broach tools designed specifically to cut hexagon shapes. Vertical broaching machines are used for higher volume products. Technicians can use them in pull-up broaching, pull-down broaching, external broaching, and push broaching. They perform almost all of their external broaching applications using vertical broaching machines. Horizontal broaching machines can perform external broaching, pull broaching, rotary broaching, and continuous broaching. Horizontal broaching machines have a longer stroke than vertical broaching machines. Lathes are also common in broaching job shops. Technicians typically use lathes and similar equipment like screw machines in conjunction with rotary broach tools in order to perform rotary broaching jobs. Arbor presses may be manual or mechanized. Most often, technicians use arbor presses in conjunction with broaches to perform push broach applications. They choose manual arbor presses for low volume jobs and automated arbor presses for high volume jobs. Hydraulic presses, when used in broaching, act as a lever that pushes the broach tool. Hydraulic presses are powered by hydraulic cylinders. Variations on broaching services include production broaching, rotary broaching, pot broaching, gear hobbing, pull broaching, push broaching, blind broaching, and keyway broaching. Production broaching focuses on fabricating products at high volumes. Rotary broaching, also known as wobble broaching, is a very popular method of broaching. To work, rotary broaching requires only a broach and a broach tool holder. The tool holder is a special mount that gives the broach a wide range of rotation. During rotary broaching, the cutting tool spins on a spindle as a tool holder pushes or pulls it through the workpiece. Pot broaching is a process during which the cutting tool stands still as the workpiece moves through it. Gear hobbing is the process through which broaching technicians make gears. During this broaching process, they broach external grooves on a gear-to-be. Pull broaching is performed simply; it entails mounting the workpiece and pulling the broach cutting tool through it or across it in a single pass. Broaching technicians use this process to flatten out vehicle heads and cylinder blocks. Push broaching is the same, only in this case, the cutting tool is pushed instead of pulled. Blind broaching is an external broaching process during which operators add shapes and indents to a workpiece. Keyway broaching is a type of broaching manufacturers use specifically to form keyways in tools and parts. During keyway machining, manufacturers use a keyway broach, which is a flat bar featuring teeth, along with a guiding mechanism, like bushings or horns. There are a number of reasons to seek out the services of broaching job shops. For one, the broaching process is expedient; it is fully automated and can be completed in a matter of seconds. In addition, broaching offers benefits such as economical setup and operation, high productivity, close tolerances, accurate cuts over large runs, versatility, and smooth finishes. If you require broaching services, your best bet is to go with an experienced broaching job shop. To help you find the right one for you, we’ve compiled a list of some of those broaching companies we trust most.  Find out more about of these manufacturers by browsing their individual company profiles and company websites. The right company for you will not only offer you the right prices, but the best services for you.